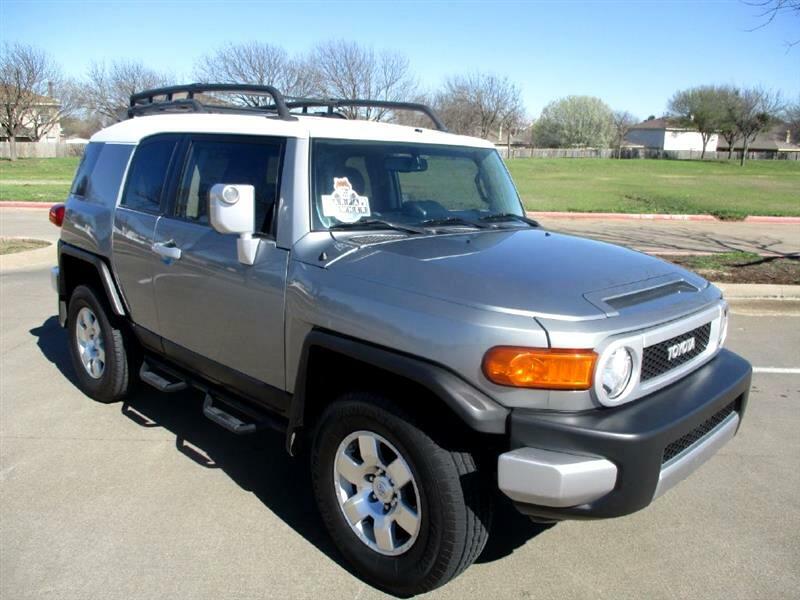 2010 Toyota FJ Cruiser. 4X4. 53K Miles. Automatic Transmission.1 Owner. Clean Clear TEXAS Title. No accidents. 4.0 6 Cylinder Engine. 4 Doors. Power Windows. Power Locks. Cruise Control. Factory Alloy Wheels. Power Mirrors. Factory Premium Sound AM/FM/ Multi Disc CD with WMA/IPOD and Factory Subwoofer in rear. Compass/Temp/Navigation Package. 100w / 400w Convertor. Tilt Wheel. Original Mats (Rubber), Manual. Keys. Back Up Camera in rear view mirror! Rear parking sensors. Traction Control. Tow Package. Privacy Glass with Tinted Windows Roof Rack. Locking Rear Differential Button This FJ is very good condition. This vehicle was just professionally mechanically serviced. Before listing for sale we had a 125+ CERTIFIED PRE-OWNED inspection was just completed on this car and it needs NOTHING. The Silver Metallic exterior is in great condition...re no dents, scrapes NOT EVEN A DOOR DING!!! The Charcoal cloth interior is in FLAWLESS condition there are no rips, tears, burn holes, stains or wear marks on the cloth seats or carpet! Guaranteed no disappointments! Must see and drive the Flawless condition of this car to believe! Remember this vehicle is truly nice and IS in the condition that its being advertised!! !